Click on picture or scroll down to see pictures and what the problems are. We inspect over 30,000 items during an inspection. Our Clients concerns are our highest priority. We hope you enjoy touring our site for information and interesting pictures of additional information and a few examples of our experience. I have found my dream house, do I really need to have it inspected? Yes! What would it be like for you if you discovered a major problem with your home after you moved in, simply because you did not know what to look for during your own review of the structure? You must know that buying a home is an emotional purchase! Don’t let your emotions lead you into a money pit you’ll end up regretting it later. Let a professional locate the problems that may exist in the structure prior to you making that final decision. Many times we find that potential home buyers are thinking about painting, knocking out a wall, new light fixtures, etc. only to discover after a home inspection, that their money for cosmetic changes may have to be budgeted for repairs. Purchasing the services of a licensed inspector will save you many headaches and frustrations in the future. 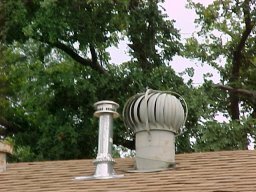 How much should I pay for the inspection? Generally, home inspection costs will be around 300 hundreds of dollars for most average homes(depending on the size of the house and other items that take longer to evaluate it would be higher). This is one area you do not want to find the cheapest service! Having a so called affordable or quick inspection company may end up being no savings at all or worse leave you with hundreds or thousands of dollars of repairs. If you were to have an operation would you try to cut corners and try to find the cheapest doctor? Many of the inspection companies are willing to have there inspectors cut corners to bring in the numbers of “low cost” inspections to keep everybody busy; they are willing to play the odds on complaints. Don’t be fooled or naive. How do I choose a inspection company? By personal referral is one way to find the best in any profession. By choosing AAPI takes the risk out of your hunting for the best inspection company. Another ideal way to locate a reputable inspection company is to ask your friends, colleagues, or relatives. They will do their best to provide you with the best sources of inspectors. Our company has the highest ratings in consumer satisfaction, the American Association of Professional Inspectors. We know the final choice is always yours; you won’t regret choosing the American Association of Professional Inspectors’ outstanding services. Don’t all inspection companies use the same standards in Texas? No, Texas was the first state to have minimum standards for the inspection of property. Unfortunately some inspection companies do not perform their inspections following even these minimum standards even thorough they are mandated to do so. The American Association of Professional Inspections uses the highest standards in the industry, these are the standards that other companies try to follow. These standards are higher than any state or local entity and higher than any other inspection company or organization. Are all Inspectors the same in Texas? My Realtor told me that all Texas home inspectors are the same. Definitely not; inspectors vary in professionalism, experience, training and education and overall knowledge. There are poor inspectors and excellent inspectors, and everything in-between. We pride ourselves in continually learning, studying, researching and challenging ourselves to be better, we have the highest level of training in classroom hours and field training. Our inspectors perform at a much higher level than most other inspectors to keep their high level rating in the industry. 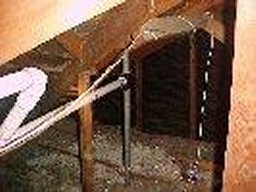 The American Association of Professional Inspectors, Inc. is a teaching organization for other inspectors and inspection companies in the field of real estate inspections and in the termite inspection field. Why all real estate inspection companies are not alike? Many multi-inspector firms and also small companies work from the idea of doing a large number of hasty and sometime incomplete inspections at a cheap cost is good. At American Association of Professional Inspectors we prefer to do a very limited number of inspections at the highest level of professionalism possible. We treat each client as our only client. Yes, we may not be the cheapest, but we are the most service orientated inspection company in the US. We don't look at numbers of inspections; we look out for our client’s complete satisfaction, at, during and after the inspection. Many multi-inspector firms believe that anyone can be trained to perform real estate inspections. They try to get their inspectors out in the field as quickly as possible, whether they are ready or not. However, you as a consumer are taking all the chances. The ability to recognize conditions that may be a problem comes in part from training and experience. No single course, not even a collection of courses, can prepare a person for all of the notable problems that an inspector may come across in the field. An inspection company or inspector that performs cheap and hasty inspections would not qualify as an American Association of Professional Inspectors, Inc. inspector. Worse, an error can result in catastrophic financial loss or even death. 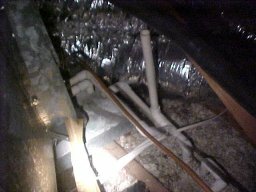 AC drain line in attic with no “P” trap to prevent sewer gases in cooling air supply in rooms of house. P trap would have dry seal in the winter that could cause gases in the cooling air supply. Can you spot the broken and cracked tiles? 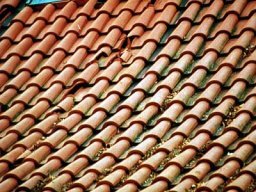 The roof has a repeated pattern of rain water run-off from the upper rain gutter system. Roof was leaking into the attic. What would be the ideal background for an inspector? American Association of Professional Inspectors’ high requirements specify a combination of extensive construction back ground, experience, training and continual supervised, reviewed inspections before the inspector is qualified. American Association of Professional Inspectors, Inc. acceptance requires a number of qualifications which are made up of education, training, experience, observed inspections, a minimum of paid inspections and reviews of written or computerized reports which have to meet TREC and American Association of Professional Inspectors high qualifications and standards. The gas heater vent stack is back drafting because of the wind turbine venting the heat out of the attic.. This forces the carbon monoxide into the room vents when using the heating system. Real estate inspectors examine and report the condition of the structure for purchasers and owners. The inspection is performed according to the TREC (Texas Real Estate Commission) and American Association of Professional Inspectors, Inc., Standards of Practice. The inspection scope is a comprehensive, visual inspection of the physical components of the structure, its mechanical systems, electrical systems, and site condition. American Association of Professional Inspectors standards are higher than the TREC standards. . Poorly insulated connections at the weather head. 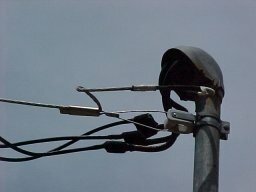 Could cause arcing or power loss. Galvanized plumbing putting contaminants and rust into water supply. (1) The PTR line has more than 360 degrees of turns in it, within 5 feet. This can cause a back pressure if the PTR valve opens. (2) The PTR line has been converted from copper pipe to PVC pipe which will melt if the PTR valve opens to relieve excessive heat or pressure in the tank. (3) There are no additional braces under the water heater as extra support. (water weighs about 6 pounds per gallon) This water heater has a 50 gallon tank. 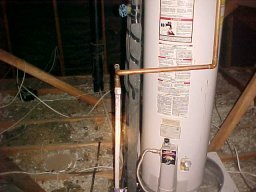 This is a copper gas line feeding gas to the gas heater in the attic. The house has been inspected twice in the last 4 years by 2 other inspection companies and was not noted on the reports as a hazard. 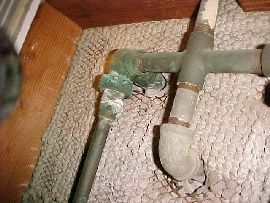 According to fire safety and code officials copper gas lines cannot be used in a natural gas system. The copper line dissolves from the inside out and will leak gas at fitting. Note the 2 green dots on the copper gas line; these are gas leak we found that the 2 other inspection companies did not find. This could have been one of those houses that you see on the news when the house suddenly blows up and burns down to the ground.